Before I do the name and shame thing, let’s give the story some context, because so-called “expiry dates” are badly misunderstood by most people. That’s one of the main reasons why a third of the food produced in the world gets wasted - so many people see the best before date on so-called shelf stable foods (rice, mielie meal, and canned food) and chuck it out, thinking it’s going to give them food poisoning. But shelf stable food does not suddenly become a health risk the day after their best before dates expire. Best before dates are all about quality - not food safety. Of course, ideally, the price should be discounted because they are technically past their prime, but that’s a different issue. But it’s a very, very different story with perishable food such as meat and dairy. Those foods are required by law to have “use by” dates on them - telling us consumers that we must not consume them after that date. 'Use By' is much more specific than 'Best Before' - and for good reason. It is illegal to sell food past its use by date, or even to donate it, because of the health risk. As for sell-by dates, just to add to the confusion, our food labelling regulations do not make any mention of sell-by dates, but they are used by most supermarkets and a voluntary, internal stock control measure, being the date by which they must remove such food from their fridges. And the date allows for customers to consume them a few days later, having stored them in their own fridges. But every person working in retail should know - especially the manager of a supermarket butchery: it is illegal to alter, remove or conceal any original date mark on a food product, because they are put there by the manufacturer or supplier of that food - and they know best what that food’s best quality or safest shelf/fridge life is. Which brings us to the events of last Sunday at the Starwood SuperSpar in Phoenix. Spar’s label declared the pack date of the chicken to be that day, January 27, and the “sell-by” date as January 31 - today. 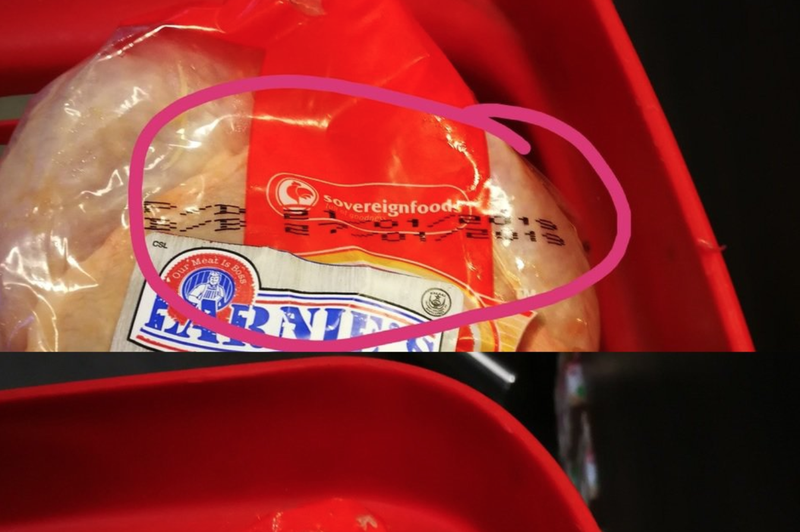 But there was another set of dates on the chicken, which had been concealed - and they’d been put there by the supplier, Sovereign Foods. Pack date January 21, “best before” January 27. Given that legally that “expiry date” on perishable food should be a “use by” date, that chicken’s safe eating window closed last Sunday. When the customer, Imraan, raised his concern with the butchery manager, he says he was told that chickens only go on the shelf four days after they receive them, and that’s why they put their own labels on them. “That troubled me; it bothered me a lot,” he said. I shared Imraan’s experience with SPAR’s head office. Most importantly, those chickens had to be removed from sale, rather than being available for shoppers to buy until today, thanks to that faked “sell-by” date. Happily, they were quickly removed. SPAR’s Retail Operations Manager, Roelf Venter, told me the company had stringent food process procedures in place, and would make sure that its food safety specialist and food safety auditing team follow up with the store.